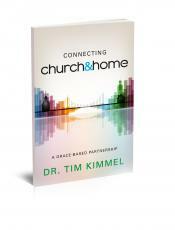 Tim Kimmel gives a comprehensive strategy to churches for family ministry as well as a plan for parents seeking to pass their faith to the next generation. He shares valuable tools for the church to use to build a strong family ministry. A child who has seen grace lived out in front of him at church and at home is much more inclined toward stay- ing committed to a relationship with God into adulthood. So Kimmel shares what a grace-based family ministry looks like in a local church. He also teaches parents how to translate every part of ministry they are exposed to at church to translate into spiritual training at home. This page was created in 0.3516 seconds.